Action Lab Entertainment knows a thing or two about fantasy titles. Their work on books such as Princeless, Beyond the Western Deep and Vamplets all boast elements of sword and sorcery and now Action Lab is capitalizing on those works to go one step further. Archon: Battle of the Dragon is a new series by ohn Parez and Marco Maccagni delves deep into the mythos that accompanies dragons and knights. 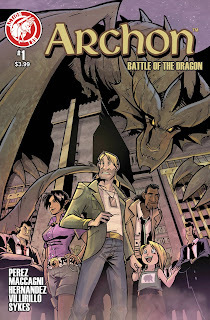 Archon: Battle of the Dragon is currently available for pre-order in Diamond’s Previews catalog, under the Action Lab Entertainment section and ships with two covers. The Marco Maccagni cover (JUN150854) and the Erin Fusco cover (JUN150855), which is limited to 2000 copies. Full press release below. There is an added bonus in every issue of ARCHON...that of an actual tabletop gaming campaign. “The supplemental material in the back is for obsessives, like myself. It gives additional info on the world, albeit its written under the guise of a D&D dragons manual meant for kids, but it’s actually doublespeak.” This added element makes ARCHON an immersive experience for the reader. 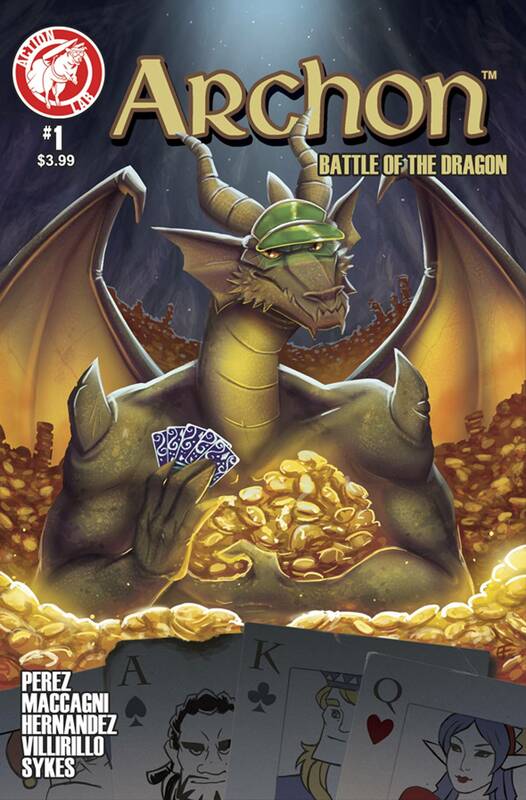 ARCHON: BATTLE OF THE DRAGON is currently available for pre-order in Diamond’s Previews catalog, under the Action Lab Entertainment section, and ships with two covers. The Marco Maccagni cover (JUN150854) and the Erin Fusco cover (JUN150855), which is limited to 2000 copies.